Licensed College Jewelry!! 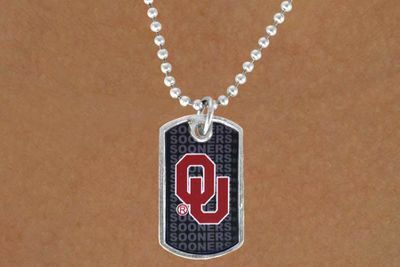 Lead & Nickel Free Sterling Silver Plated Ball Chain Necklace Suspends A Dog Tag With The University Of Oklahoma "Sooners" Logo. 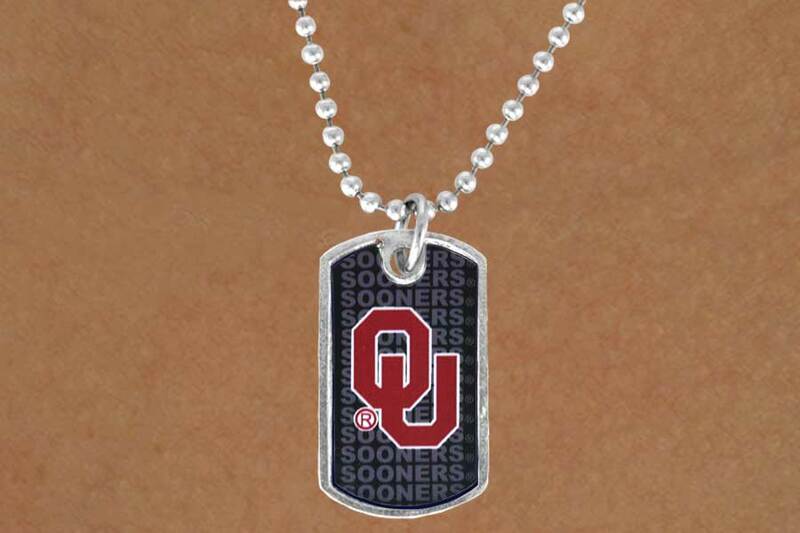 Scroll Down For More University Of Oklahoma "OU Sooners" Items: W12864N, W12865E, W12866B, W12867N, W12868E, W12869B, W13476N, W13760KC, W13761KC, W13858KC, W13859KC, W14063SG, W14065SG!